Our comprehensive Creative Vision Strategy (CVS) leads to inspiring insights that drive the design. The CVS is the bridge between the business strategy, the brand and the design. The design process unfolds over five thorough phases, and we collaborate and maintain regular open communication with our client throughout them all, from the beginning of the project all the way through its completion. The result is effective, compelling branded architecture with purpose. 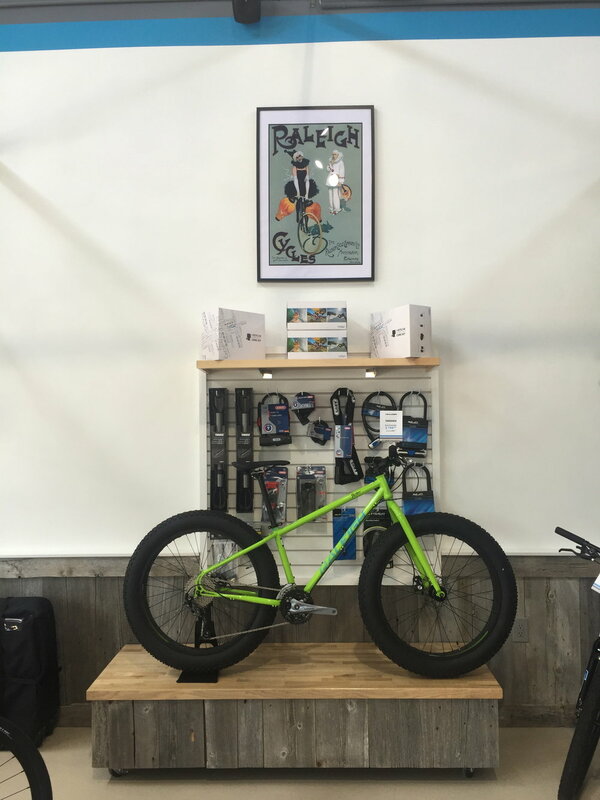 Raleigh Bicycle Company from Nottingham, UK came to us with a vision for their new flagship store in Santa Monica, California. 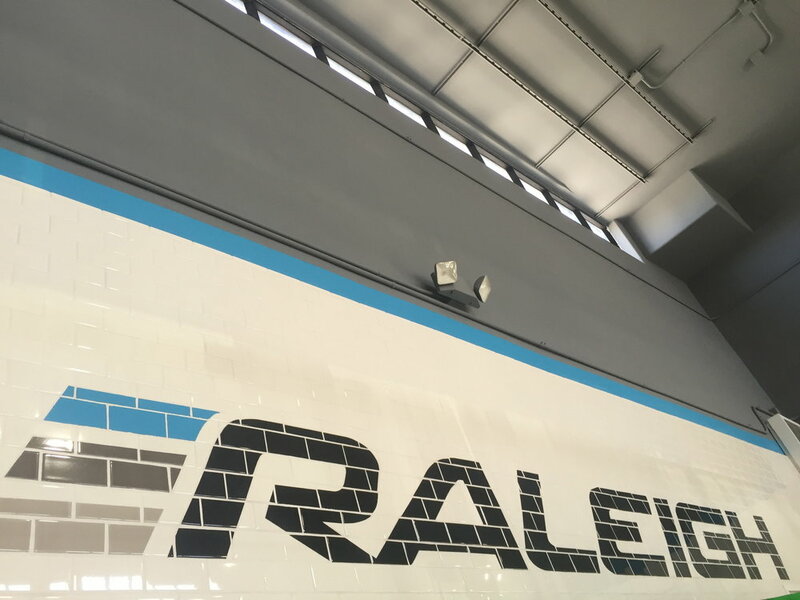 This historical company was undergoing a rebrand to reintroduce Raleigh bikes to the American public. We worked with the branding team to flush out this new identity for the Santa Monica audience. The first phase of our CVS process is LISTENING, where we gather relevant information from sitting down with the client and discussing their goals. This initial platform establishes our reading of the brand and its positioning. We grow our understanding of the BRAND through more design research, exploring the market, precedents, competition and any other relevant factors that will help us to thoughtfully address the goals of our client. 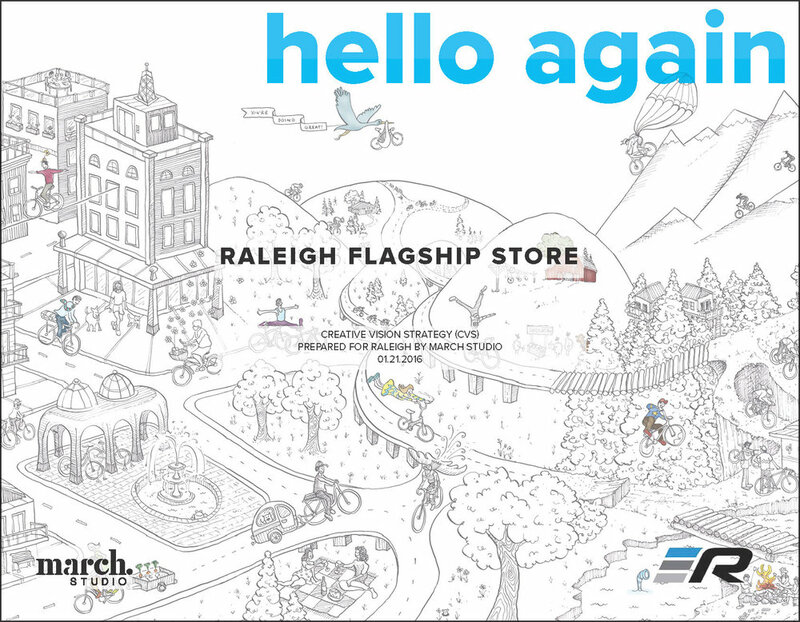 We established a brand driver, our way to make visual the big idea for Raleigh. Our big idea, “a playful, modern identity with the integrity and history of the brand,” was illustrated in a playful collage. After gathering specific INSIGHTS about the brand, location, competition and other factors we develop the design objectives that this project will seek to incorporate. In the STRATEGY phase, the design objectives are paired with design strategies that direct the project as it moves through the architectural phases of schematic design, detail development, and construction documents. 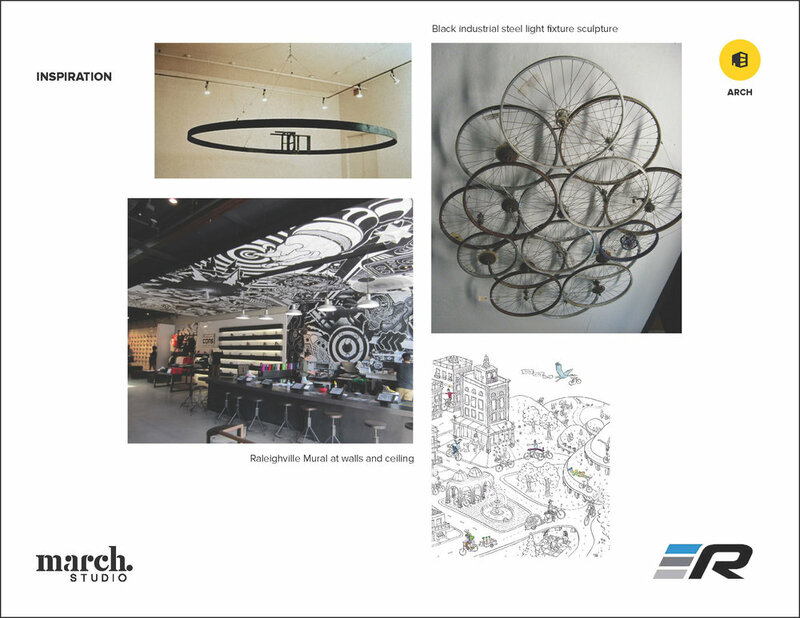 For Raleigh, we wanted to celebrate the long heritage of the brand through industrial references in the finishes and displays. 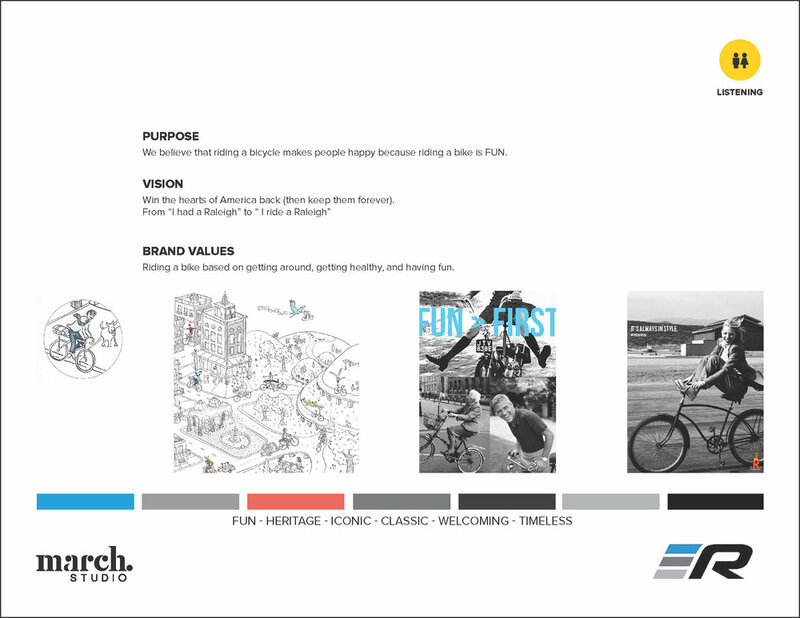 We wanted to layer the new fun brand identity with the historical context. 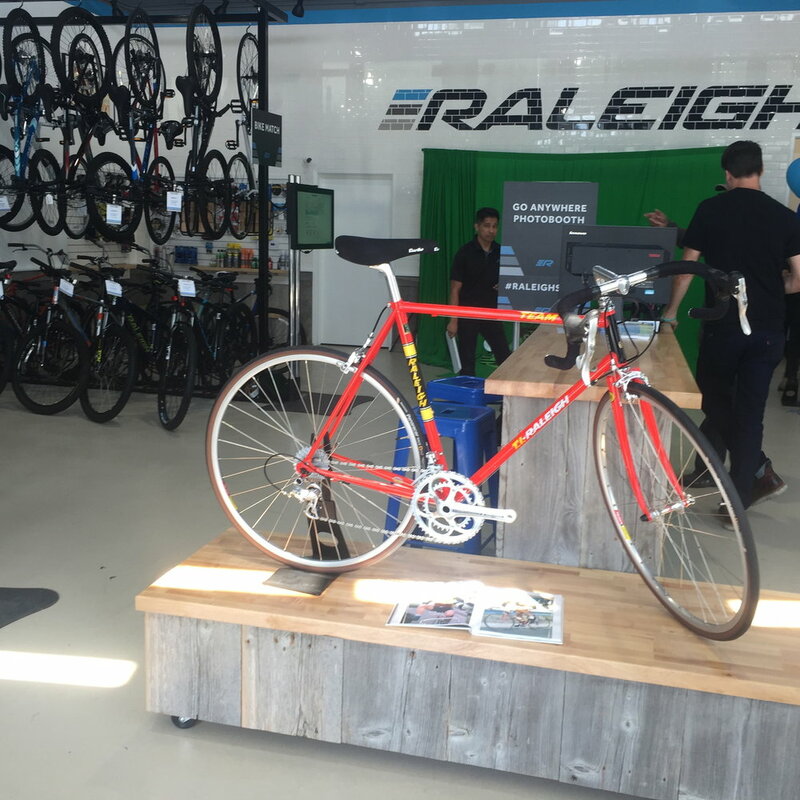 The original tagline for Raleigh Bikes, “Getting Around & Getting Healthy,” is still current with today’s busy lifestyle. Finally, we also want to layer an aspect of community into the design to allow for the store to be a central hub for the local Santa Monica residents. The concept design layers the design strategies and early functional programming. The CVS builds up to the initial concept design walking the client through the five phases (LISTENING, BRAND, INSIGHTS, STRATEGY, ARCHITECTURE) integrating the business goals and the architectural design. 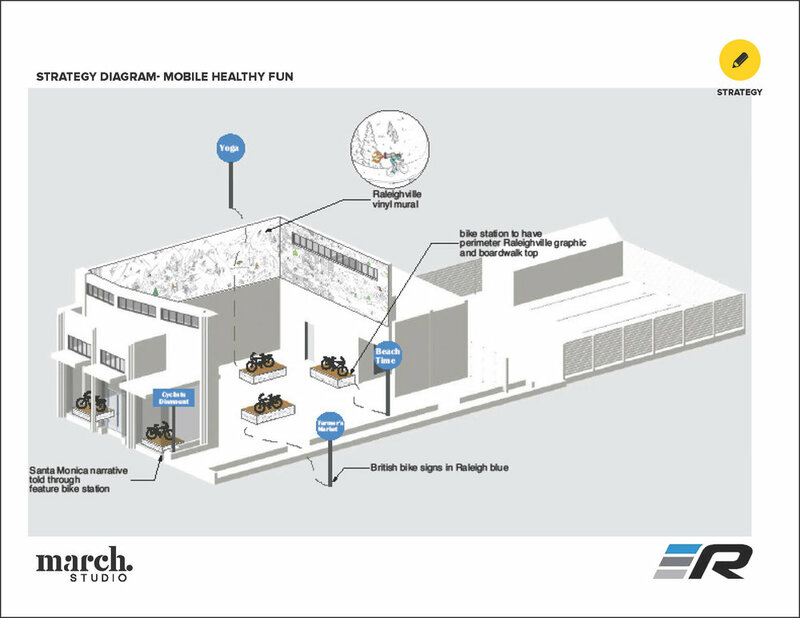 We have found that this is an excellent consensus building tool that allows the client to participate in the early design process by establishing the touchpoints for the brand throughout the entire design process. As the project progresses through schematic, design development and construction we consistently refer back to the CVS to ensure that the design stays true to its original intent and the objectives identified by the client and our team at the start of the project.